English musician, singer, songwriter, music journalist and co-founder of the synthpop duo Pet Shop BoysNeil Tennant was born 10 July 1954. As a child, Tennant attended St. Cuthbert’s Grammar School, an all-boys’ Catholic school in Newcastle-Upon-Tyne. Tennant’s songs “This Must Be the Place I Waited Years to Leave” and “It’s a Sin” refer to his early life in Catholic school and the strict upbringing there While at school, Tennant played guitar and cello. At age 16, he played in a folk music group called Dust, whose most popular song was called “Can You Hear the Dawn Break?” They were heavily influenced by The Incredible String Band. During his teenage years, he was a member of the youth theatre at the People’s Theatre, Newcastle upon Tyne. In 1975, having completed a degree in history at North London Polytechnic (now London Metropolitan University), Tennant worked for two years as London editor for Marvel UK, the UK branch of Marvel Comics. He was responsible for anglicising the dialogue of Marvel’s catalogue to suit British readers, and for indicating where women needed to be redrawn for the British editions. He also wrote occasional features for the comics, including interviews with pop stars Marc Bolan and Alex Harvey. In 1977, he moved to Macdonald Educational Publishing where he edited The Dairy Book Of Home Management and various illustrated books about cookery, playing the guitar, and other home interests. Then he moved to ITV Books where he edited TV tie-in books. After having commissioned Steve Bush, then the designer of Smash Hits and The Face, to design a book about the group Madness, he was offered a job at Smash Hits as news editor of the British teen pop magazine in 1982. The following year he became Assistant Editor. He also edited the 1982, 1983 and 1984 editions of The Smash Hits Yearbook. While working At Smash Hits, an opportunity arose for him to go to New York to interview The Police. Meanwhile Tennant formed the band Pet Shop Boys in London with Chris Lowe in 1981 whom he had met in an electronics shop on Kings Road in Chelsea, London, and who had a mutual interest in dance music. they began to work together on material, and produced “It’s a Sin”, “West End Girls”, “Rent” and “Jealousy”. Their big break came in August 1983, when Tennant was assigned by Smash Hits to interview The Police in New York. The duo were obsessed with a stream of Hi-NRG records made by New York producer Bobby Orlando, simply known as Bobby O. After hearing a demo tape that Tennant had brought along with him, Orlando suggested making a record with the Pet Shop Boys and Between 1983–84, Orlando recorded eleven tracks with Tennant and Lowe including; “West End Girls”, “Opportunities (Let’s Make Lots of Money”), “It’s A Sin”, “I Want A Lover”, “I Get Excited”, “Two Divided By Zero”, “Rent”, “Later Tonight”, “Pet Shop Boys”, “A Man Could Get Arrested” and “One More Chance. Pet Shop Boys also appeared on Love Me Tender, a UK television programme, on ITV, commemorating the tenth anniversary of Elvis Presley’s death. They were asked to perform one of their favourite Elvis tracks and played “Always on My Mind”, which was re-released in a 12″ version with “In My House” which was included on the 1988 album, Introspective. Pet Shop Boys started work on an film It Couldn’t Happen Here, with director Jack Bond, starring Barbara Windsor, Joss Ackland and Gareth Hunt. In 1988. The Pet Shop Boys wrote and produced the song “I’m Not Scared” for Patsy Kensit’s band, Eighth Wonder. The song became her biggest hit single and the Pet Shop Boys included their own extended version of the track on their Introspective album. The Pet Shop Boys released “Heart”, Which was included on their first and third greatest hits albums, Discography: The Complete Singles Collection and Ultimate. whereas the album version was on their second retrospective, the double PopArt: Pet Shop Boys – The Hits. The video to the single, directed by Jack Bond, starred Ian McKellen as a vampire who steals Neil Tennant’s wife. In 1988, Pet Shop Boys released, “Domino Dancing” followed by the third album, Introspective-a six-track album of previously unheard remixes and extended tracks. Followed by “Left to My Own Devices”, and a cover version of the Sterling Void single “It’s Alright”. In 1990, Pet Shop Boys released, “So Hard”, followed by the’ fourth album Behaviour, containing the song “Being Boring”. In 1991, Pet Shop Boys released a cover of U2’s “Where the Streets Have No Name” as a medley with “Can’t Take My Eyes Off You”, together with a remix of the album track “How Can You Expect to Be Taken Seriously?” by Brothers in Rhythm. In 1991 the Pet Shop Boys embarked on World Tour visiting Tokyo, United States, Canada, France, Belgium, Germany, Denmark, Sweden, Finland, Czechoslovakia, Austria, Hungary, Yugoslavia, Switzerland, Italy, Spain, the Netherlands, Ireland, and the United Kingdom. The Pet Shop Boys also released an 18-track compilation called Discography, which included all of their single releases up until then, two new singles—”DJ Culture” and “Was It Worth It? The Pet Shop Boys also collaborated with many musicians. Including Dusty Springfield, on the singles “Nothing Has Been Proved” From the film Scandal about the Profumo political scandal starring John Hurt and “In Private”. The duo later went on to produce half of the tracks on her 1990 solo Reputation album. Pet Shop Boys were also asked to write and produce an album for Liza Minnelli, in 1989. The album, Results, generated four singles, including the hit single “Losing My Mind”, a cover version of the Stephen Sondheim song from the 1971 Broadway musical “Follies”. In 1989 Neil Tennant formed Electronic with Bernard Sumner and Johnny Marr and co-wrote and co-produced the song “Getting Away with It”. Lowe also contributed to the chord sequence to “The Patience of a Saint” on Electronic’s 1991 album. In 1992, Tennant sang lead vocals on the song “Disappointed”, for the soundtrack for the film Cool World. A remix of “So Hard”, by The KLF, led to Tennant re-recording his vocals for the song. Pet Shop Boys set up the Spaghetti Records label in 1991. Their most successful release was the soundtrack to the 1992 film The Crying Game, which featured Boy George performing the title song “The Crying Game”. In 1992, Pet Shop Boys were the subjects of a South Bank Show program on ITV. This included interviews with Neil and Chris, and contributions from Liza Minnelli, Simon Frith, David Alden and David Fielding. In 1993, Pet Shop Boys released the song “Can You Forgive Her?” and covered the Village People single “Go West which was adopted into a football chant at Arsenal Football Club (which Chris Lowe supports) and is heard at grounds throughout Europe. Pet Shop Boys released their fifth studio album, Very, featuring the songs “I Wouldn’t Normally Do This Kind of Thing”, “Liberation” and “Yesterday, When I Was Mad”. Pet Shop boys also released the album, Relentless, which was composed of six all-new darker progressive house tracks. In 1994, Pet Shop Boys remixed Blur’s single “Girls & Boys” and released the Comic Relief single, “Absolutely Fabulous” featuring Jennifer Saunders and Joanna Lumley. The Pet Shop Boys also released Disco 2 a follow-up to their 1986 remix album Disco featuring club remixes of songs from Very and Behaviour, in a continuous megamix by Danny Rampling. The subsequent Discovery Tour visited Singapore, Australia, Puerto Rico, Mexico, Colombia, Chile, Argentina and Brazil. In 1995 Pet Shop Boys released a new version of “Paninaro”. In 1996 The Pet Shop Boys remix of the David Bowie song “Hallo Spaceboy” (co-written by Brian Eno), from the album Outside, was released, The Pet Shop Boys then joined Bowie at the 1996 BRIT Awards and released the singles, “Before” and Se a vida é (That’s the Way Life Is)”, from the sixth Pet Shop Boys album Bilingual. Tina Turner also released her Wildest Dreams album, featuring a Pet Shop Boys-produced track “Confidential”. 1996, Neil appeared live with Suede, singing the Suede song “Saturday Night” and Pet Shop Boys track “Rent” alongside Brett Anderson. In 1997 Pet Shop Boys had a three-week residency at the Savoy Theatre, in London, featuring a cover of the song “Somewhere” from the musical West Side Story featuring projections filmed by the artist Sam Taylor-Wood. Pet Shop Boys collaborated with Sam Taylor-Wood again in 1998, recording a version of “Je t’aime… moi non plus”, by Serge Gainsbourg, and also covered the Donna Summer track “Love to Love You Baby”. In 1998 thePet Shop Boys performed a series of live dates and released a charity album of Noël Coward songs, called Twentieth Century Blues. The album included Pet Shop Boys’ version of “Sail Away”, along with songs performed by Elton John, Texas, Marianne Faithfull, The Divine Comedy, Suede, Damon Albarn, Vic Reeves and Robbie Williams. Tennant provided backing vocals on Robbie Williams’ “No Regrets” single, along with Neil Hannon from The Divine Comedy. Pet Shop Boys also worked with playwright Jonathan Harvey on a stage musical project. In 1999, many of the tracks recorded ended up on the duo’s seventh studio album, Nightlife, including “I Don’t Know What You Want But I Can’t Give It Any More”,”New York City Boy”, “You Only Tell Me You Love Me When You’re Drunk”, and”Closer to Heaven” which became the title of Pet Shop Boys’ musical. Tennant also sang “In Denial”, with Kylie Minogue about a father coming out to his daughter. Minogue also performed the track live, during her 2005 Showgirl tour. The Pet Shop Boys also toured during 1999 and 2000 playing in the United States, Canada, Japan, Europe and the UK. they also played a series of festival dates in Europe, including Glastonbury. They also won their third Ivor Novello Award, honouring their “Outstanding Contribution” to music. The musical, Closer to Heaven, opened at the Arts Theatre in London, in 2001. Tennant also wanted Closer to tour Europe and New York. in 2005, a series of performances were staged in the Brisbane Powerhouse, Australia. In 2002, Pet Shop Boys released their eighth album Release featuring the songs “London”, “I Get Along” and “Home and Dry”, this album has a stripped back acoustic sound and is a complete change from dance music and featuresJohnny Marr on guitar. They embarked on a less lavish tour, with no dancers, backing singers, or outrageous costumes which also included Bristol University, Keele University, University of East Anglia in Norwich, University of Teesside, Middlesbrough and De Montfort University, Leicester. They used two extra guitarists, Bic Hayes and Mark Refoy, a percussionist (Dawne Adams) and regular programmer (Pete Gleadall) alongside Chris Lowe (keyboards) and Neil Tennant (vocals and guitar). They also toured Germany, the U.S., Canada, Spain, Italy, France, Belgium, the Netherlands, Denmark, Sweden, Japan, Singapore, Hong Kong and Thailand. In 2003 The Pet Shop Boys released Disco 3, Which included new songs as well as remixes. They also launched two new labels, Olde English Vinyl and Lucky Kunst. The first release on Olde English Vinyl was Atomizer’s “Hooked on Radiation”, followed by Pete Burns’ “Jack and Jill Party”. They also remixed Yoko Ono’s “Walking on Thin Ice” and Rammstein’s “Mein Teil”. In 2003, Pet Shop Boys released a second greatest hits album, PopArt: Pet Shop Boys – The Hits, a double compilation with two new singles: “Miracles” and “Flamboyant”. In 2004, Pet Shop Boys appeared at a free concert in Trafalgar Square in London , with the Dresdner Sinfoniker orchestra Performing a new soundtrack to accompany the 1925 silent film Battleship Potemkin. There were four more live performances in Germany in 2005. The Pet Shop Boys also played at the Prince’s Trust concert with other artists who had worked with the British producer Trevor Horn, including Grace Jones, ABC, Seal and Frankie Goes to Hollywood. In 2005, Pet Shop Boys headlined the Moscow Live 8 concert, in Red Square. They were also asked to put together music for the Back to Mine series, an ongoing anthology showcasing artists’ favourite music selections, with an emphasis on afterhours chill-out music. In 2006 Pet Shop Boys remixed Madonna’s single “Sorry”. The Pet Shop Boys also released “I’m with Stupid”, parodying the relationship between George W. Bush and Tony Blair. The promo video featured Matt Lucas and David Walliams as Tennant and Lowe, parodying, “Go West”, and “Can You Forgive Her?”. The Pet Shop Boys released their ninth studio album, Fundamental, with a remix album called Fundamentalism, which included a version of “In Private” as a duet with Elton John and “Fugitive”, “Minimal”. A Channel 4 documentary, titled Pet Shop Boys – A Life in Pop, was also broadcast directed by George Scott and produced by Nick de Grunwald. With Contributions from Robbie Williams, Brandon Flowers, Tim Rice-Oxley, Jake Shears and Bruce Weber. Pet Shop Boys toured Europe in support of Fundamental in 2006 at assorted festivals and outdoor venues. They also played two dates at the Tower of London and at Thetford Forest. There were also performances of Battleship Potemkin, in Germany and Spain and at the Swan Hunter shipyard, in Newcastle upon Tyne, accompanied by the Northern Sinfonia orchestra. The Pet Shop Boys also worked with Robbie Williams on the album, Rudebox, producing two tracks: a cover version of “We’re the Pet Shop Boys”, written by My Robot Friend and “She’s Madonna”, a duet with Tennant, allegedly about Guy Ritchie’s affair with Tania Strecker, prior to his relationship with Madonna. They also toured Canada, the United States and Mexico, A DVD of the show in Mexico City titled Cubism was also released. A book called “catalogue” was published, containing their entire visual output (photography, as well as the design of albums, videos, tours, books and fan club magazines) from 1984 to 2004. A small exhibition of Pet Shop Boys Artwork also opened in the Bookshop Gallery of London’s National Portrait Gallery. The song, “Numb”, was also released. the album Concrete was released in 2006. It is a double CD of the complete Mermaid Theatre concert, with the BBC Concert Orchestra (musical director: Trevor Horn), featuring Rufus Wainwright, Frances Barber and Robbie Williams. The Pet Shop Boys were also nominated for two 2007 Grammy Awards for “I’m with Stupid”, and ‘Best Electronic/Dance Album’ for Fundamental. Neil Tennant served as executive producer on Rufus Wainwright’s new album, Release the Stars, and also sang backing vocals on “Do I Disappoint You”, and “Tiergarten”. Pet Shop Boys’ released the Stars Are Blazing’ remix of The Killers’ “Read My Mind”. Pet Shop Boys continued their world tour, performing in Brazil, Argentina, Chile, New Zealand and Australia (as co-headliners of the V Festival 2007), Norway, Estonia, Latvia, Lithuania, Germany, Switzerland, France, the Netherlands, Great Britain, Denmark, Ireland, Sweden, Italy, Romania, Spain, Belgium and Singapore. in 2009 Pet Shop Boys began their Pandemonium Tour playing Saint Petersburg, Russia, Tel Aviv, Israel, the Manchester Apollo and the O2 Arena in London, the Metropolis, in Montreal, Canada. This tour included songs such as “West End Girls”, “It’s a Sin” and “Always on My Mind”,” Two Divided by Zero”, “Why Don’t We Live Together?” and the B-side “Do I Have To?” InBrazil the Pet Shop Boys released a compilation titled Party, including songs that were heavily featured in the following TV Globo soap operas: “Being boring” (Meu Bem Meu Mal OST), “Domino dancing” (O Salvador da Patria OST), “West End Girls” (Selva de Pedra OST) and “King of Rome” (Viver a Vida). On 14 December 2009, Pet Shop Boys released an EP of covers, remixes, and new material, titled Christmas. In 2010, Pet Shop Boys released a live album/DVD double-pack called Pandemonium. Containing the soundtrack and footage recorded from their 21 December 2009 show at the O2 Arena in London. The Pet Shop Boys also released a cover of “Love life”, as part Record Store Day 2010, which was originally recorded during the Release sessions in 2001 and given to Swedish band Alcazar. The B-side was “A Powerful Friend”, which was composed in the early 1980s and appears on the Disco 3 album. The Pet Shop Boys also headlined the Other Stage at the Glastonbury Festival. They also released The greatest hits album “Ultimate” preceded by the single “Together”. The Pet Shop Boys’ also produced a ballet based on The Most Incredible Thing by Hans Christian Andersen. It was adapted by Matthew Dunster with choreography by Javier de Frutos and features former Royal Ballet star Ivan Putrov, with animated films created by Tal Rosner, and orchestrations by German composer Sven Helbi. In 2012 the album, Format, was released featuring the duo’s B-sides from 1996 to 2009, as a sequel to their earlier B-side collection Alternative. In 2011, the Beyond Theatre Award, was presented to Pet Shop Boys and the director of The Most Incredible Thing, Javier de Frutos. The Pet Shop Boys next album Elysium included the song “winner” which was featured heavily during the 2012 London Olympic Games. Pet Shop Boys also performed three songs before the Olympic tennis games in Henman Hill, Wimbledon: “Always On My Mind”, “What Have I Done to Deserve This?”, and “Winner. Pet Shop Boys performed “West End Girls” in the closing ceremony of the 2012 Olympic Games in August. Elysium contained the songs “Winner” “Leaving” and, “Memory of the Future” and the b-side “Listening” which was written for Morten Harkett (Aha). The Pet Shop Boys also played a free concert in the recently opened MediaCityUK BBC facilities accompanied by the BBC Philharmonic Orchestra and the Manchester Chamber Choir. Performing ‘Miracles’,”The Survivors’ and “He Dreamed of Machines”. In 2013 The Pet Shop Boys twelfth album, “Electric”, was released. In 2014 The Pet Shop Boys new orchestral work A Man from the Future received its world premiere at the BBC Proms. Performed by the BBC Singers, BBC Concert Orchestra Sven Helbi and the Pet Shop Boys, the work was inspired by the life of WW2 code breaker Alan Turing. The concert also included Overture to Performance, an orchestral arrangement of Pet Shop Boys songs used to open their 1991 Performance tour, and four Pet Shop Boys songs arranged by Angelo Badalamenti and sung by Chrissie Hynde – “Vocal”, “Love is a Catastrophe”, “Later Tonight” and “Rent”. the Pet Shop Boys released that their thirteenth album, Super, in 2016 containing the songs “Inner Sanctum”& “The Pop Kids”. They performed the ‘Inner Sanctum’ tour, for four nights at the Royal Opera House in London. The subsequent Super Tour started in October 2016. In 2017, the Pet Shop boys announced their latest ‘Further Listening’ reissues project, called ‘Catalogue: 1985-2012’. The first batch will be released on 28 July, starting with the release of a 2017 remaster of ‘Nightlife’, ‘Release’ and ‘Fundamental’. Previously released ‘Further Listening’ albums will also be remastered along with ‘Yes’ and ‘Elysium’, and will be released in 2017. 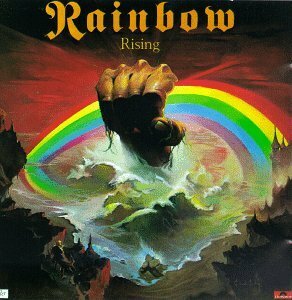 American singer, songwriter, and musician Ronald James Dio (Padavona) was born in Portsmouth, New Hampshire, 10 July 1942 to Italian-American parents who had moved to Portsmouth from Cortland, New York, where they had grown up, as part of Dio’s father’s service in the U.S. Army during World War II.The family resided in Portsmouth for only a short time before returning to Cortland. Dio listened to a great deal of opera while growing up, and was influenced vocally by American tenor Mario Lanza.His first and only formal musical training began at age 5 learning to play the trumpet.During high school, Dio played in the school band and was one of the youngest members selected to play in the school’s official Dance Band. It was also during high school that Dio formed his first rock-n-roll group, the Vegas Kings (the name would soon change to Ronnie and the Rumblers, and then Ronnie and the Red Caps). Though Dio began his rock-n-roll career on trumpet, he quickly added bass guitar to his skillset once he assumed singing duties for the group. Dio graduated from Cortland High School in 1960. Following his graduation, he attended the University at Buffalo, majoring in Pharmacology. He only attended from 1960 to 1961 and played trumpet in the university’s concert band, but did not graduate. Despite being known for his powerful singing voice, Dio claimed never to have taken any vocal training. Rather, he attributed his singing ability to the use of correct breathing techniques learned while playing trumpet. In 1974, Dio sang on the Roger Glover conducted and produced concept album The Butterfly Ball and the Grasshopper’s Feast. Along with other guest-singers, the album featured Deep Purple members Glenn Hughes and David Coverdale. Dio provided vocals for the songs “Homeward”, “Sitting in a Dream”, and the UK single “Love is All”. In 1980, Dio sang the tracks “To Live for the King” and “Mask of the Great Deceiver” on Kerry Livgren’s solo album, Seeds of Change. In 1985, Dio contributed to the metal world’s answer to Band Aid and USA for Africa with the Hear ‘n Aid project. With a heavy metal all-star ensemble which was the brainchild of his fellow Dio band mates Vivian Campbell and Jimmy Bain. In 1997, Dio also had a cameo on Pat Boone’s In a Metal Mood: No More Mr. Nice Guy, an album of famous heavy metal songs played in big band style. In 1999, he was parodied in the TV show South Park, in the episode Hooked on Monkey Fonics and also participated in the Deep Purple project, Concerto for Group and Orchestra, recording cover versions of Deep Purple songs, and songs from the earlier The Butterfly Ball and the Grasshopper’s Feast album. Tenacious D included a tribute song entitled “Dio” that appeared on their self-titled album. The song explains how he has to “pass the torch” for a new generation. 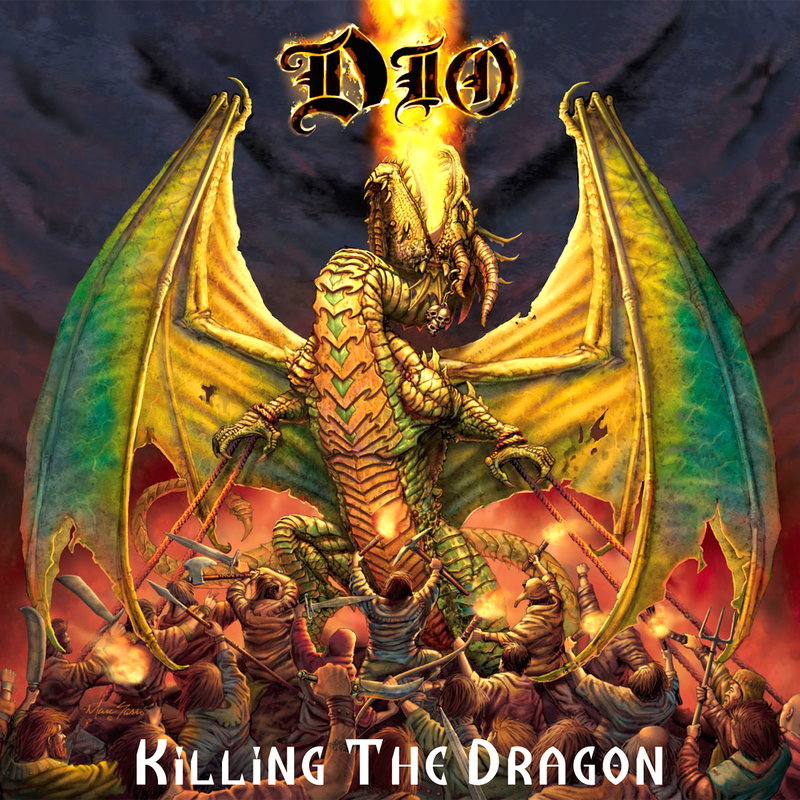 Reportedly, Dio approved of it, and had Tenacious D appear in his video “Push” from Killing the Dragon in 2002. Dio also appeared in the film Tenacious D in The Pick of Destiny. In 2005, Dio was revealed to be the voice behind Dr. X in Operation: Mindcrime II, the sequel to Queensrÿche’s seminal concept album Operation: Mindcrime. In 2007, he was inducted into the Rock Walk of Fame at Guitar Center on Hollywood’s Sunset Boulevard. Dio assisted in the 2011 film Atlas Shrugged: Part I. Sadly Ronnie James Dio died May 16, 2010. English Science Fiction Author John Wyndham was born 10 July 1903 in the village of Dorridge near Knowle, Warwickshire (now West Midlands), England, the son of George Beynon Harris, a barrister, and Gertrude Parkes, the daughter of a Birmingham ironmaster. His early childhood was spent in Edgbaston in Birmingham, but when he was 8 years old his parents separated and he and his brother, the writer Vivian Beynon Harris, spent the rest of their childhood at a number of English preparatory and public schools, including Blundell’s School in Tiverton, Devon, during World War I. His longest and final stay was at Bedales School near Petersfield in Hampshire (1918–21), which he left at the age of 18, and where he blossomed and was happy. After leaving school, Wyndham tried several careers, including farming, law, commercial art and advertising, but mostly relied on an allowance from his family. He eventually turned to writing for money in 1925 and, by 1931, was selling short stories and serial fiction to American science fiction magazines, most under the pen names “John Beynon” and “John Beynon Harris”, although he also wrote some detective stories including The Secret People (1935), as John Beynon, Foul Play Suspected (1935), as John Beynon and Planet Plane (1936), as John Beynon (a.k.a The Space Machine and Stowaway to Mars). During World War II, Wyndham first served as a censor in the Ministry of Information, then joined the British Army, serving as a Corporal cipher operator in the Royal Corps of Signals. He participated in the Normandy landings, although he was not involved in the first days of the operation. After the war, Wyndham returned to writing, inspired by the success of his brother, who had four novels published. 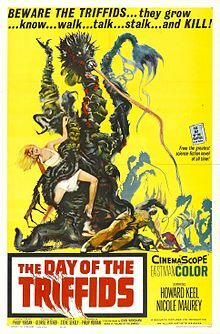 He altered his writing style; and, by 1951, using the John Wyndham pen name for the first time, he wrote the novel The Day of the Triffids. His pre-war writing career was not mentioned in the book’s publicity, and people were allowed to assume that it was a first novel from a previously unknown writer. In 1963, he married Grace Isobel Wilson, whom he had known for more than 20 years; the couple remained married until he died. He and Grace lived for several years in separate rooms at the Penn Club, London and later lived near Petersfield, Hampshire, just outside the grounds of Bedales School. He died 11 March 1969, aged 65, at his home in Petersfield, survived by his wife and his brother. Subsequently, some of his unsold work was published; and his earlier work was re-published. His archive was acquired by Liverpool University. On 24 May 2015 an alley in Hampstead that appears in The Day of the Triffids was formally named Triffid Alley as a memorial to him. Nikola Tesla day, is celebrated annually on July 10 to mark the birth of Serbian-American inventor, electrical engineer, mechanical engineer, physicist, and futurist Nikola Tesla who was born 10 July 1856 Nikola Tesla in the village Smiljan, Lika county, Serbia and raised in the Austrian Empire. Tesla received an advanced education in engineering and physics in the 1870s and gained practical experience in the early 1880s working in telephony and at Continental Edison in the new electric power industry. In 1881, Tesla moved to Budapest, Hungary, to work under Tivadar Puskás at a telegraph company, the Budapest Telephone Exchange. Upon arrival, Tesla realized that the company, then under construction, was not functional, so he worked as a draftsman in the Central Telegraph Office instead. Within a few months, the Budapest Telephone Exchange became functional, and Tesla was allocated the chief electrician and made many improvements to the Central Station equipment including the improvement of a telephone repeater or amplifier, which was never patented nor publicly described. After Wardenclyffe, Tesla went on to try and develop a series of inventions in the 1910s and 1920s with varying degrees of success. He is best known for his contributions to the design of the modern alternating current (AC) electricity supply system. Tesla gained experience in telephony and electrical engineering before emigrating to the United States in 1884 to work for Thomas Edison. He soon struck out on his own with financial backers, setting up laboratories/companies to develop a range of electrical devices. His patented AC induction motor and transformer were licensed by George Westinghouse, who also hired Tesla as a consultant to help develop apower system using alternating current. Tesla is also known for his high-voltage, high-frequency power experiments in New York and Colorado Springs which included patented devices and theoretical work used in the invention of radiocommunication, for his X-ray experiments, and for his ill-fated attempt at intercontinental wireless transmission in his unfinished Wardenclyffe Towerproject. On July 10, 1938 American business magnate, investor, aviator, aerospace engineer, film maker and philanthropist Howard Robard Hughes, Jr. Set a world record by completing a flight around the world in just 91 hours (3 days, 19 hours), beating the previous record by more than four hours. Born December 24, 1905 his many ventures helped him become one of the wealthiest people in the world. As a maverick film producer, Hughes gained prominence in Hollywood from the late 1920s, making big-budget and often controversial films like The Racket (1928), Hell’s Angels (1930), Scarface (1932) and The Outlaw (1943). Hughes was also one of the most influential aviators in history: he set multiple world air speed records, built the Hughes H-1 Racer and H-4 “Hercules” (better known to history as the “Spruce Goose” aircraft), and acquired and expanded Trans World Airlines, which later merged with American Airlines. Taking off from New York City, Hughes set his round the world record via Paris, Moscow, Omsk, Yakutsk, Fairbanks, Minneapolis, and continued to New York City. For this flight he flew aLockheed Super Electra (a twin-engine transport with a four-man crew) fitted with the latest radio and navigational equipment. Hughes wanted the flight to be a triumph of American aviation technology, illustrating that safe, long-distance air travel was possible. The Hughes H-1 was built by Hughes Aircraft in 1935. It set a world airspeed record and a transcontinental speed record across the United States. The H-1 Racer was the last aircraft built by a private individual to set the world speed record; most aircraft to hold the honor since have been military designs. Streamlining was a paramount design criterion resulting in “one of the cleanest and most elegant aircraft designs ever built.” Many groundbreaking technologies were developed during the construction process, including individually machined flush rivets that left the aluminium skin of the aircraft completely smooth. The H-1 also had retractable landing gear to further increase the speed of the aircraft, including a fully retractable hydraulically actuated tail skid. It was fitted with a Pratt & Whitney R-1535 twin-row 14-cylinder radial engine of 1,535 cubic inches (25.15 l), which although originally rated at 700 horsepower (522 kW), was tuned to put out over 1,000 horsepower (750 kw) Due to two different roles being envisioned for the racing aircraft, a set of short-span wings for air racing and speed records and a set of “long” wings for cross-country racing were prepared. The H-1 first flew in 1935 and promptly broke the world airspeed record with Hughes at the controls, clocking 352.39 mph (567.12 km/h) averaged over four timed passes. Hughes apparently ran the aircraft out of fuel and managed to crash-land without serious damage to either himself or the H-1. As soon as Hughes exited the H-1 when he crashed it in a beet field south of Santa Ana, California, his only comment was: “We can fix her; she’ll go faster.” At the time, the world seaplane speed record was 440.7 mph (709.2 km/h), set by a Macchi M.C.72 in October 1934. Hughes later implemented minor changes to the H-1 Racer to make it more suitable for a transcontinental speed record attempt. The most significant change was the fitting of a new, longer set of wings that gave the aircraft a lower wing loading. On January 19, 1937, a year and a half after his previous landplane speed record in the H-1, Hughes set a new transcontinental speed record by flying non-stop from Los Angeles to New York City in 7 hours, 28 minutes and 25 seconds. He smashed his own previous record of 9 hours, 27 minutes by two hours. His average speed over the flight was 322 miles per hour (518 km/h). Considering the contemporary service aircraft were biplanes, Hughes fully expected the United States Army Air Corps (USAAC) to embrace his aircraft’s new design and make the H-1 the basis for a new generation of U.S. fighter aircraft. However his efforts to “sell” the design were unsuccessful. In postwar testimony before the Senate, Hughes indicated that resistance to the innovative design was the basis for the USAAC rejection of the H-1: “I tried to sell that airplane to the Army but they turned it down because at that time the Army did not think a cantilever monoplane was proper for a pursuit ship. Aviation historians have posited that the H-1 Racer may have inspired later radial engine fighters such as the Republic P-47 Thunderbolt and the Focke-Wulf Fw 190 After the war, Hughes further claimed that the Japanese Zero fighter had been copied from the Hughes H-1 Racer.” He noted both the wing shape, the tail design and the general similarity of the Zero and his racer. Jiro Horikoshi, designer of the Mitsubishi Zero strongly denied the allegation of the Hughes H-1 influencing the design of the Japanese fighter aircraft. The Hughes H-1 Racer is featured in the 1940 RKO Radio Pictures movie Men Against the Sky. Hughes also dated Katharine Hepburn and following his World Record New York City gave Hughes a ticker-tape parade in the Canyon of Heroes. In 1938, the William P. Hobby Airport in Houston, Texas, known at the time as Houston Municipal Airport, was renamed Howard Hughes Airport, but the name was changed back after people objected to naming the airport after a living person. The American fantasy and horror fiction pulp magazine Weird Tales was founded by J. C. Henneberger and J. M. Lansinger in March 1923. In the late 19th century, popular magazines did not usually print just fiction, they would include non-fiction articles and poetry as well. In October 1896, the Frank A. Munsey company’s Argosy magazine was the first to switch to printing only fiction, and in December of that year it changed to using cheap wood-pulp paper. This is now regarded by magazine historians as having been the start of the pulp magazine era. For years pulp magazines were successful without restricting their fiction content to any specific genre, but in 1906 Munsey launched Railroad Man’s Magazine, the first title that focused on a particular niche. Other titles that specialized in particular fiction genres followed, starting in 1915 with Detective Story Magazine, with Western Story Magazine following in 1919. Weird fiction, science fiction, and fantasy all appeared frequently in the pulps of the day, but by the early 1920s there was still no single magazine focused on any of these genres, though The Thrill Book, launched in 1919 by Street & Smith with the intention of printing “different”, or unusual, stories, was a near miss. In 1922, J. C Henneberger, a journalist and magazine editor who had been publishing College Humor and Magazine of Fun, formed Rural Publishing Corporation of Chicago, in partnership with J. M. Lansinger. Their first venture was Detective Tales, a pulp magazine that appeared twice a month, starting with the October 1, 1922 issue. It was initially unsuccessful, and as part of a refinancing plan Henneberger decided to publish another magazine that would allow him to split some of his costs between the two titles. Henneberger had long been an admirer of Edgar Allan Poe, so he created a fiction magazine that would focus on horror, and titled it Weird Tales. The first editor, Edwin Baird, printed early work by H. P. Lovecraft, Seabury Quinn, and Clark Ashton Smith, all of whom would go on to be popular writers, but within a year the magazine was in financial trouble. Henneberger sold his interest in the publisher, Rural Publishing Corporation, to Lansinger and refinanced Weird Tales, with Farnsworth Wright as the new editor. The first issue under Wright’s control was dated November 1924. The magazine was more successful under Wright, and despite occasional financial setbacks it prospered over the next fifteen years. Under Wright’s control the magazine lived up to its subtitle, “The Unique Magazine”, and published a wide range of unusual fiction. 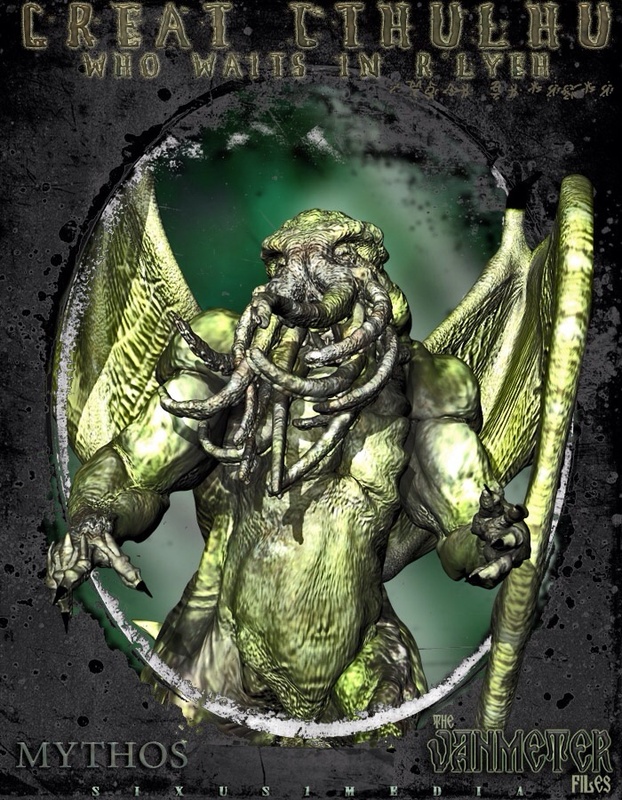 Lovecraft’s Cthulhu mythos stories first appeared in Weird Tales, starting with “The Call of Cthulhu” in 1928. These were well-received, and a group of writers associated with Lovecraft wrote other stories set in the same milieu. Robert E. Howard was a regular contributor, and published several of his Conan the Barbarian stories in the magazine, and Seabury Quinn’s series of stories about Jules de Grandin, a detective who specialized in cases involving the supernatural, was very popular with the readers. Other well-liked authors included Nictzin Dyalhis, E. Hoffman Price, Robert Bloch, and H. Warner Munn. Wright published some science fiction, along with the fantasy and horror, partly because when Weird Tales was launched there were no magazines specializing in science fiction, but he continued this policy even after the launch of magazines such as Amazing Stories in 1926. Edmond Hamilton wrote a good deal of science fiction for Weird Tales, though after a few years he used the magazine for his more fantastic stories, and submitted his space operas elsewhere. In 1938 the magazine was sold to William Delaney, the publisher of Short Stories, and Wright, was replaced by Dorothy McIlwraith as editor. Although successful new authors and artists, such as Ray Bradbury and Hannes Bok, continued to appear Weird Tales ceased publication in 1954. However Since then numerous attempts have been made to relaunch the magazine, starting in 1973. The longest-lasting version began in 1988 and ran with an occasional hiatus for over 20 years under an assortment of publishers. In the mid-1990s the title was changed to Worlds of Fantasy & Horror because of licensing issues, with the original title returning in 1998. The magazine is regarded by historians of fantasy and science fiction as a legend in the field, with many considering it “the most important and influential of all fantasy magazines. I have recently watched the exciting and enjoyable, multiple Oscar winning, science fiction film Gravity again on DVD. Directed by Alphonso Cueron (Prisoner of Azkaban, Children of Men and Y Tu Mama Tambien), with visual effects by Tim Webber. It stars Sandra Bullock, as Bio-medical engineer Dr. Ryan Stone, a Mission Specialist on her first space shuttle mission, STS-157, who is accompanied by veteran astronaut Matt Kowalski (George Clooney), who is commanding his final expedition, to service the Hubble Telescope. However during the final spacewalk Mission Control in Houston warns Stone and Kowalski that a field of Debris from a Russian missile strike on a defunct satellite is hurtling rapidly towards the Space Shuttle at high speed and they must abort the mission. Shortly afterward, communications from Mission Control are lost, though Stone and Kowalski continue to transmit in hopes that the ground crew can hear them. Unfortunately High-speed debris from a previous collision between two other satellites hurtles towards and damages the space shuttle Explorer. Stone tumbles out of control away from it. Kowalski rescues Stone and Tethered together, the two make their way back to Explorer, which they discover has also been damaged by the debris far beyond repair, and the rest of the crew are dead. So They decide to try and make their way to the International Space Station (ISS), which is in orbit only about 100 km (60 mi) away. However The the ISS’s crew has already evacuated into one of its two Soyuz TMA capsules and The remaining Soyuz TMA-14M capsule cannot be used to reenter Earth’s atmospere, So Kowalski suggests using it to travel to the nearby Chinese space station Tiangong, 100 km (60 mi) away, in order to board a Chinese module to return safely to Earth. With Air rapidly running out and power drained from the rockets Kowalski is forced to make a desperate decision. Eventually Stone enters the space station via an airlock but cannot re-establish communication with Kowalski, and she concludes that she is the sole survivor. Inside the station, a fire breaks out, forcing her to rush to the Soyuz. So she attempts to maneuvers the capsule away from the ISS, However the debris field destroys the station. So Stone aligns the Soyuz with Tiangong, but then discovers that Soyuz’s engine has no fuel. So Stone resigns herself to being stranded in space and shuts down the cabin’s oxygen supply. As she slips into unconciousness she begins to hallucinate, and imagines Kowalski who tells her to rig the Soyuz’s soft landing jets to propel the capsule toward Tiangong. Sadly Stone is Unable to maneuver the Soyuz to dock with the station, but improvises and ejects herself via explosive decompression and uses a fire extinguisher as a makeshift thruster to travel the final metres to Tiangong, Stone then enters the Shenzhou capsule just as Tiangong starts to break up on the upper edge of Earth’s atmosphere. After re-entering the atmosphere, Stone hears Mission Control, which is tracking the capsule and sending a rescue. But due to a harsh reentry and the premature jettison of the heat shield, a fire has started in the capsule and Stone is faced with yet more problems as she hurtles towards Earth.